An unusual flow thru heater which can be foud on Balboa M3 or older spa packs. A titanium coated element make this heater a good upgrade offering more protection against corrision. 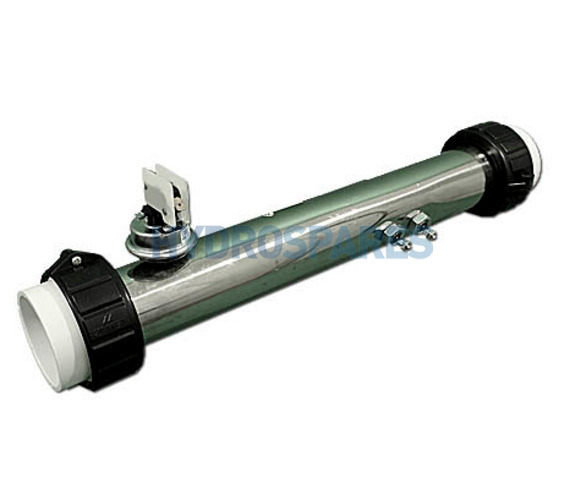 Supplied with a 2.0PSI switch for flow detection, this complete unit will replace many 2.0" x 15" flow thru heaters installed in many older Balboa spa packs as well as many others.